​Whether you're heading off for a night of dancing or something a bit more reserved. Hitting Hartford to appreciate the night life? 1. Partying like a rock star just dinner. Our drivers know how to keep the night as loud or quiet as you want it. 2. Any Size. 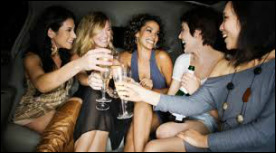 Grab one of our massive party buses or rent one of our stretch limos. Our fleet is large and in charge so you have choices. 3. An Awesome Time - We aim to please. That means our company, our drivers and all of our employees want you to have the best time of your life. Check out our fleet page and find your perfect vehicle today.